The master-planned district of Century City is a hub for entertainment industry activity, as multiple agencies and production companies maintain offices there, and the area once belonged to the backlot of 20th Century Fox. Today a bustling community has sprung up around the neighborhood’s trademark skyscrapers, which can be seen for miles on a clear day. The area’s beauty has been featured in numerous films and television shows, including Die Hard, Modern Family, and Conquest of the Planet of the Apes. Over the years Century City has been home to businesses like Metro-Goldwyn-Meyer, Northrop Grumman, Aluminum Co. of America, and hundreds of entertainment related companies. The local economy continues to maintain and even thrive as businesses keep their offices open in the area. Century City is also only minutes from the excitement of Hollywood, the beauty of the beach, and the glamour of Beverly Hills. There are numerous schools in the area, serving kids k-12, which adds to the allure of the area. Century City is a fantastic place to settle down for work or pleasure. When you’re ready to move into, or out of, the district, be sure to hire the right Century City moving company. With unmatched experience in the area, and the best Century City movers, Acclaimed Century City Movers is the right moving company for you. Acclaimed Century City Movers has extensive experience performing commercial and residential moves throughout Century City. High rises, custom offices, warehouses, retail facilities, homes, apartments, condos, we have moved every type of building the neighborhood has to offer. Our Century City movers are geniuses when it comes to solving problems and getting your move done right. We can safely move all bulky or fragile furniture, as we have tools like dollies, lifts, and masonite to protect the building and your items. Our Century City movers also understand how to move network servers and other furniture unique to offices and businesses. Traffic is also not an issue, as the Century City movers use trucks equipped with GPS, which allows them to map out new routes on the fly. As a top-rate company on both Google and Moving Authority, and with unbeatable services and highly skilled movers, Acclaimed can lay claim to the title, foremost Century City moving company. As a full-service, fully comprehensive, luxury moving company, we will guide you through every step in your relocation. We can provide a professional packing service that both fortifies your boxes, and ensures the safe transportation of the goods stored within those boxes. Each of our Century City movers goes through rigorous training in how to properly pack and move all items; including, but not limited to; conference tables, network servers, desks, misc. office furniture, antiques, artwork, pool tables, pianos, even automobiles. Moreover, our Century City movers operate a fleet of new, super-diesel trucks equipped with GPS, and use only the industry’s best packing materials. If you’ll need storage, our enormous, climate-controlled, secure, storage facility has space available. The facility features round-the-clock video surveillance and a state-of-the-art temperature control system that protects your stuff from bugs, mold, and rust. With each move, Acclaimed further demonstrates their dedication to the customer and to making each move effortless and enjoyable. Our Century City Movers go above and beyond to provide you with the most comprehensive and affordable services. Help throughout your relocation from Acclaimed’s amiable, expert moving consultants; all of whom are available by phone, during business hours, and by email, at all times, to provide quotes and assistance. Every Century City consultant can ease your stress and answer any questions. Long distance moving. With our long distance services, you can move to any state, province, or territory in North America, or around the globe. Commercial moving. With our office moving services you can relocate warehouses, retail facilities, and offices of any size or shape. Relocation specialists who are all professional, clean-cut, company men, and have decades of experience in the moving industry, and more importantly, in Century City. You can count on our Century City movers to overcome obstacles, and to understand the care and precision that each move requires. An extensive, itemized inventory of all goods being moved. This service includes the use of color-coded labels for your boxes, which keep every step of your move organized. A full wrap and pack of your belongings, using the industry’s most advanced packing materials, including: industrial strength packing paper, ultra-thick moving blankets, reinforced boxes, and custom-built crates. This option is highlighted by our unique packing service, which ensures the proper, safe, transportation of all items packed. Professional disassembly and reassembly of bulky furniture, including custom dining tables, conference tables, beds, sofas, network servers, and desks. Proper crating and transportation of fragile and valuable belongings like artwork, antiques, sculptures, pool tables, pianos, boats, and classic cars. We fashion hand-crafted crates out of wood or cardboard, designed to protect your belongings. Transportation done by our growing fleet of reliable, bio-diesel trucks. 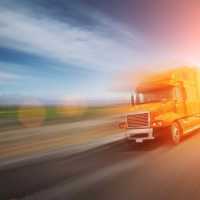 Each truck has a GPS, which prevents the driver from getting lost, helps him map new routes to circumvent traffic, and provides lightening fast progress reports so Acclaimed can inform you of the exact location of your stuff at all times. Vault storage, in our colossal storage facility, which utilizes 24 hour video surveillance and a climate-control system, protecting your belongings from elements like bugs, mildew, mold, rust, and prying eyes. When you decide to move, the most important step in the process is getting an accurate estimate for the total cost of your move. For an affordable estimate from Acclaimed Century City Movers, submit your information through the easy-to-use moving quote generator, located throughout our website, or call (888) 668-3703 to speak directly with one of our friendly and informative sales representatives. Also, Acclaimed can now send an estimator right to your home or business to provide you with an on-site estimate and a “not to exceed”quote, which protects you from hidden fees and assures you the most accurate quote possible. We’ll come to you, making the process of getting a quote effortless. Acclaimed Century City Movers is committed to developing lasting relationships with everyone we move. We have catered our services to the demands of the Century City moving market, and continue to evolve to provide the best services possible. Our goal is to define professionalism, reliability, and affordability, in the moving industry. For your commercial or residential move in the area, be sure to hire the premier Century City movers, Acclaimed Century City Movers. We’ll get you moving.